Valentine’s Day is right around the corner and today was the release of Warner Bros’ new movie, Isn’t it Romantic. I had the opportunity to attend a pre-screening of this hysterical film at the Regal Cinemas Village Park 17 in Carmel, Indiana with theCity Moms of Greater Indianapolis. Romantic comedies are one of my favorite genres (yeah, I’m a typical girl) and I was more than excited for an opportunity to drag my husband out for a pre-Valentines date night. I knew it’d be a good one when I saw that Rebel Wilson, Liam Hemsworth, and Adam Devine were the featured actors. I was eager to see Rebel and Adam together again in another fun film, I was a big fan of seeing them together in Pitch Perfect. Rebel Wilson plays a great single girl role but I was a bit nervous that this film could be crudely inappropriate as previous roles have portrayed her to be. Surprisingly it stayed pretty PG-13. Playing a single, career gal who hates romance due to her cynical mother’s upbringing, Natalie (played by Rebel Wilson) has cast off romance as being unrealistic and unobtainable. A head injury leads to waking up in her very own perfect, romantic comedy where Natalie has to discover what love is before waking back up to reality. Although the seemingly perfect world of romance (men who adore her, a perfect apartment, and being at the top of her career), Natalie desires to have her bland and lackluster life back. 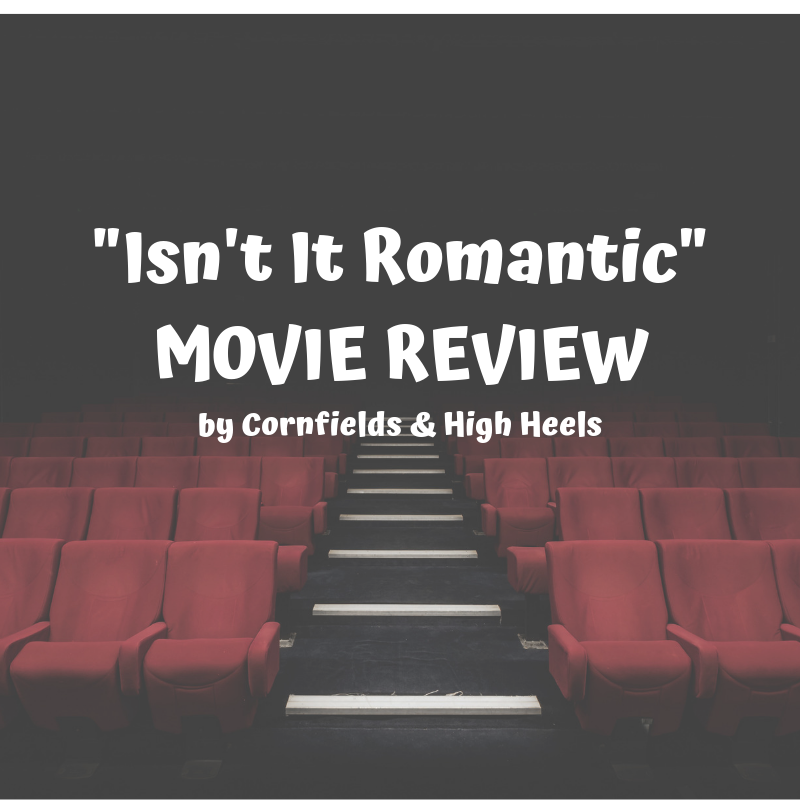 Without giving away too many details, the movie ends with Natalie realizing it wasn’t falling in love with someone that she needed to discover. Pros: This film was funny and entertaining, I would see it again! There are some good and moral points to the movie about being an independent woman, standing up for yourself, and learning to love who you are. The actors in this film were fantastic and I couldn’t have thought of a better group to work together. If you are a child of the 1990s and early 2000s, you will appreciate this movie more for the cast and the music. Cons: You’ll want to keep the kids at home. While not as inappropriate as a lot of PG-13 movies out there, there is adult humor (sexual related) and language used multiple times throughout the film. During most of the film, bad language is purposefully bleeped out but is used generously in the beginning and end. I wouldn’t allow my teenagers to watch this movie. It’s easy to love on Valentines, but what about every other day?